We aim to fix and redistribute all usable donations! The operations fund can be bolstered by online donations through the button below. Please consider choosing to “make this a monthly payment.” Our monthly donors are greatly needed and appreciated. As little as $10/month goes a long way to get us through the winter. The moving fund is of utmost importance this spring. To break free from slowly increasing cost of operations in the Scott’s Addition we need to relocate, and raising the money to do so is in your hands. Please consider Giving through our Fundly campaign by using this link. Bicycle donations are screened prior to drop off. Please let us know what you have so that we can make sure there’s room for your donation. You can also hold fundraisers for us by giving door fees at events to us, or dedicating a portion of beer sales for a night to us! 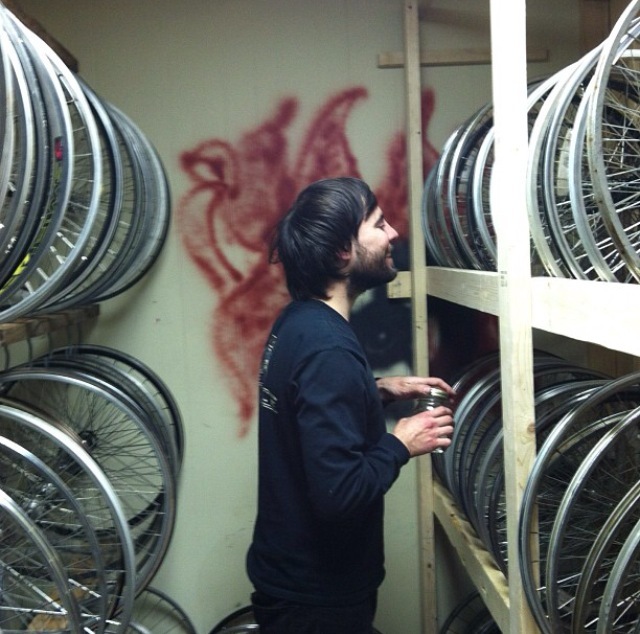 You can sell our bikes in your shop on consignment, or pay Rag & Bones to hold and staff a workshop or training.